This makes no sense! Or it’s the visual equivalent of sampling ’90s cartoons in dubstep: the distorttttttion is strong. 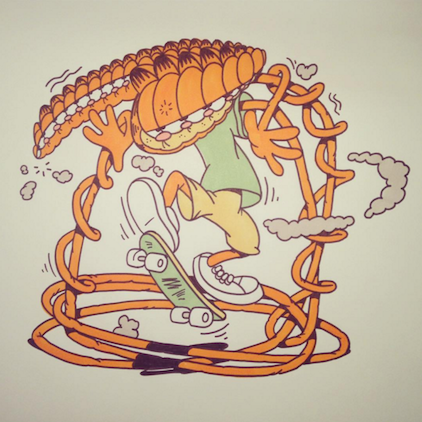 @Ermsy’s jittery illustrations are also available in keyrings and such in his online store. Follow along.